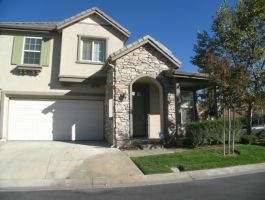 Newer Stevenson Ranch home with panoramic views! Hillside Village newer home with breathtaking panoramic views. 3 BR's + very large loft. Double attached garage, fireplace, laundry room, pantry. Plenty of light, sun-filled rooms, open floor plan.